Are you participating in Bike to Work Day this year? More than 6,400 Coloradans have pledged to cycle to work June 28 and it’s easy to see why—commuting on two wheels offers a variety of benefits from boosting self-confidence to cutting gas costs. Since there is no better time to spend more time outdoors in Colorado than the summer season, let’s make biking a more regular form of commuting to work. 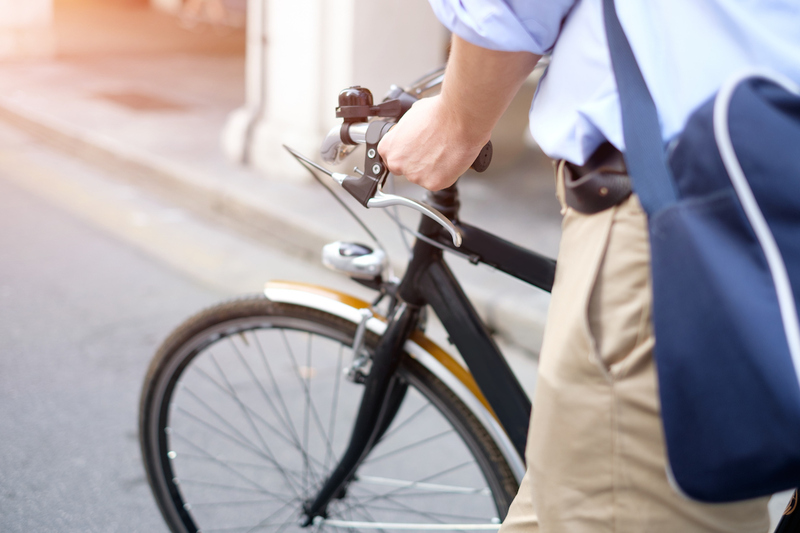 Discover five reasons why you should incorporate biking to work into your routine. Exercising outdoors—both in urban and rural environments—has been proven to boost self-confidence, energy levels and improve your overall mood. Strolling into the office energized with endorphins and fresh air trumps frantically racing in after laying on your horn in traffic delays. Bike riding can also decrease fatigue, release stress, lower blood pressure and improve concentration. When you bike to work, you save on gas, parking and other transportation costs, like bus fare, tolls and car maintenance fees. Want to know exactly how much you could save by biking to work? This tool from Kiplinger helps you find out. Talk about killing two birds with one stone! Biking to work allows you to get your daily physical activity in without the need to set aside extra time for the gym. Plus, it’s a lot easier on your joints than running or walking, putting a lot less stress on your knees, ankles and spine. Even the most patient commuter can’t help but get frustrated with traffic. Whether it’s anticipated backups or surprise bog downs, running late to or from work is an unnecessary stressor. As a cyclist, you’ll always know what to expect—zooming home in fresh air, never needing to fight over a parking spot or worry about road congestion. According to the U.S. Environmental Protection Agency, nearly 1 pound of carbon dioxide is saved when 1 mile is pedaled rather than driven. Contribute to a healthier planet and feel good about your commute by pedaling to work. As you’re planning your two-wheeled commute, don’t forget that local bike paths may get you where you’re going more quickly. Check out these seven Colorado treasures.